If you haven't been here before welcome and if you have, I'm glad to see you back. Well Yesterday was the first day of spring so I thought that this card would be a great way to bring that season in. 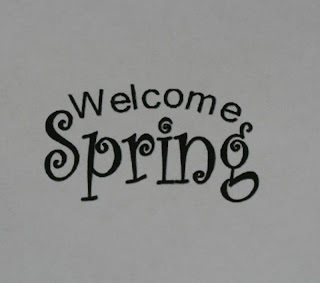 However on that note today is more like winter here than spring. It's cold out and blowing we did get a bit of snow but not as much as other parts of Alberta. Some parts of the province are complete white out and under heavy snow fall warnings so I'm ok with the little bit that we got. 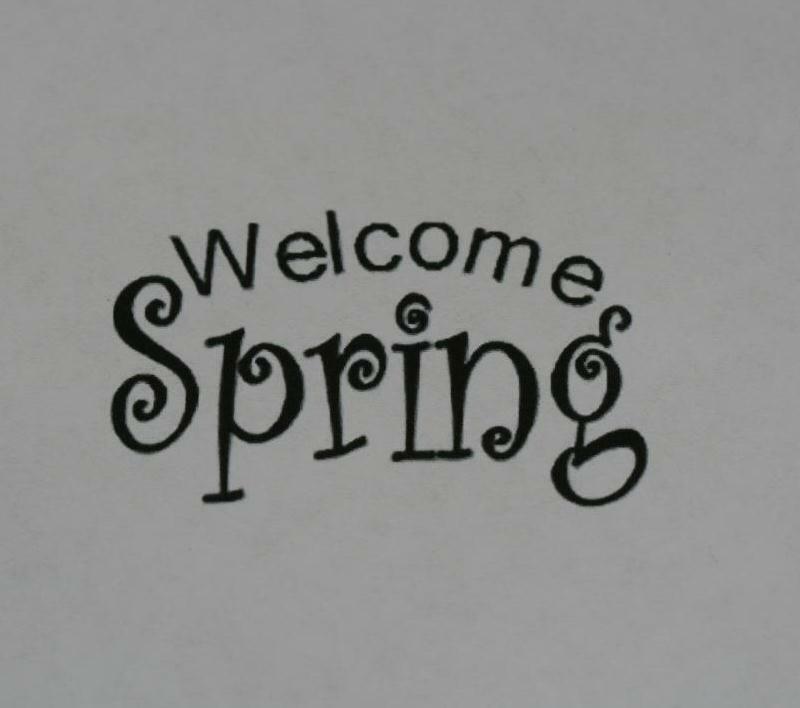 Although I can not wait for spring to finally arrive. I made this card as a birthday card for my mother-in-law, I went with a less traditional colors that I typically use. 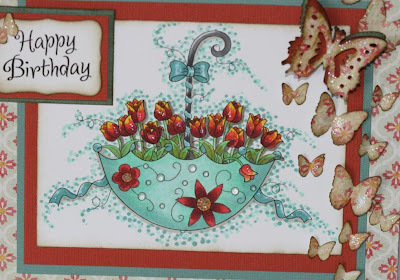 I really love the image it is from Whimsy Stamps made by StampArt Design by Kathryne. This image a digital image is called * New Tulip Umbrella. I hope that this will get you in the mood to create a card or project for someone special. The little dots on the image are so cute. I wanted to accent them to look like rain drops, so I added glossy accents. The great thing with glossy accents is that it keeps its shape on the paper once its dry.I love how it turned out, its a little hard to see in the photograph. This is the sentiment that comes with the Tulip umbrella digital image file. Super cute! Oh, what a delightful image! So beautifully done! 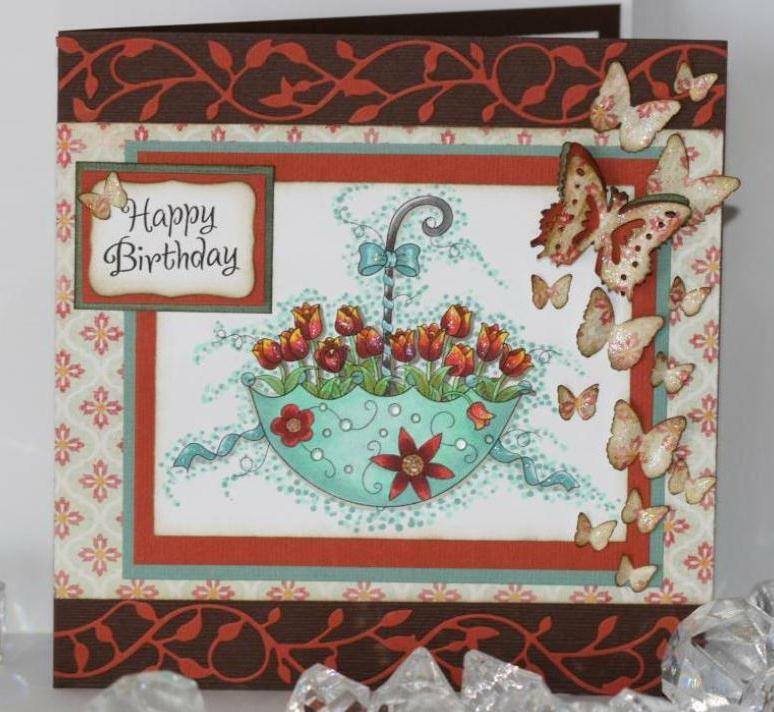 Thank you so much for playing along with us over at the Simon Says Stamp Challenge Blog! Awesome...love it, wowweee! Image is awesome, great colors...love the butterflies wonderful! Bammm! Woweee!